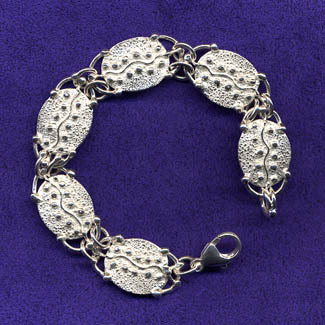 A wavy line follows the dots on this textured sterling silver bracelet. 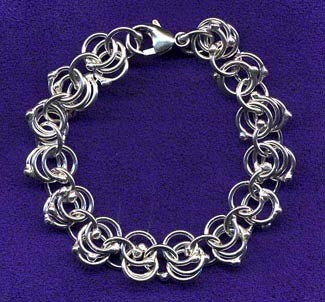 When you connect them, it encirles your wrist with what is sure to become your favorite bracelet. 3/4" x 7 1/2". 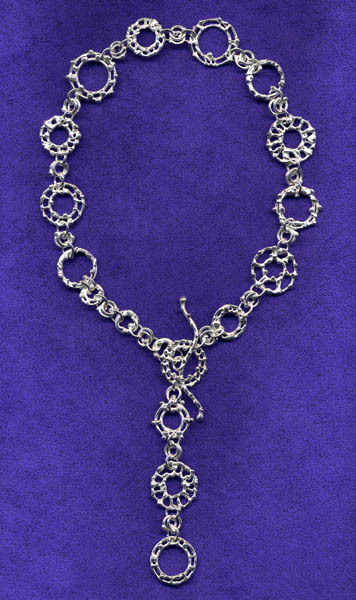 Handmade sterling silver rings link arms to form a triple chain of dazzling light. 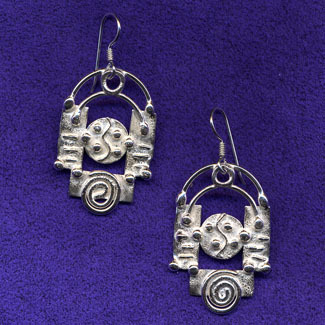 Pair with the Summer Solstice necklace for extra sparkle. 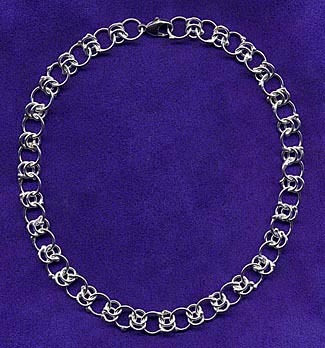 7 1/2" average length with silver lobster claw clasp. Custom lengths available. 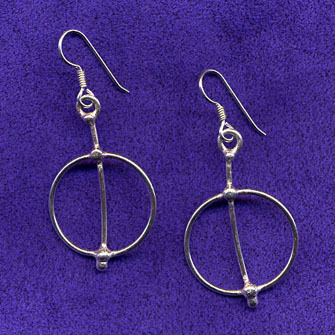 Endless sterling silver rings reflect an eternal beauty reminiscent of the sun. 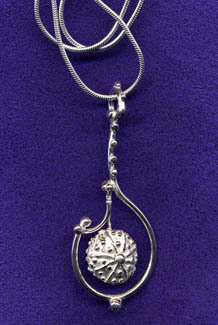 16-17 inch average length with silver lobster claw clasp. Custom lengths available.